Properties, methods and events are 3 separate terms in visual basic but they are associated or interrelated with one another. We will define each and every one of them and give examples as well. It is the attributes of an object or simply defines the characteristics of the object such as color, name of the object, height, and many more. 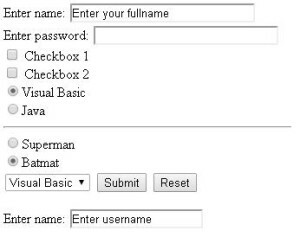 All objects in visual basic (textbox, label, command button, etc.) has its own properties but some attributes/properties are common to most objects like the Visible property which enables you to show or hide the object or control during runtime. 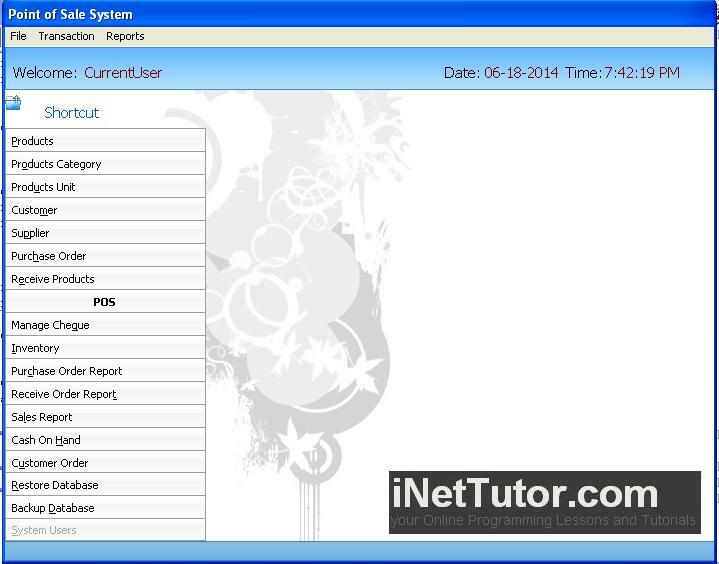 In this lesson, we’re going to learn how to use loop statements in visual basic. A loop in computer programming is a process that repeats the same command or instruction and ends until given condition becomes true or false. Loops are considered one of the most basic concepts and mostly used in computer programming. In this lesson, we’re going to discuss the different loops in visual basic such as do loop, do while loop, do until loop, for next loop. In computer programming, a conditional statement is the type of statement that executes a command when the condition is met or when the condition is true. The if then statement of visual basic is similar to the if statement of other programming languages such as PHP and Java the only difference is that visual basic uses then and not “}”. The if statement is the most common conditional statement used in programming, specifically in visual basic. The if then statement check or validate if the condition is true. 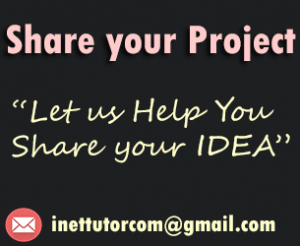 There are two forms on how to write the if then statement. Monitoring the login and logout of the users of an information system is very important, that’s why we have prepared a sample source code on how to do that. 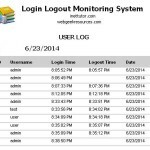 This simple application will record the login time and the logout time of every user of the system and store in a database, the system is also capable of printing the records. 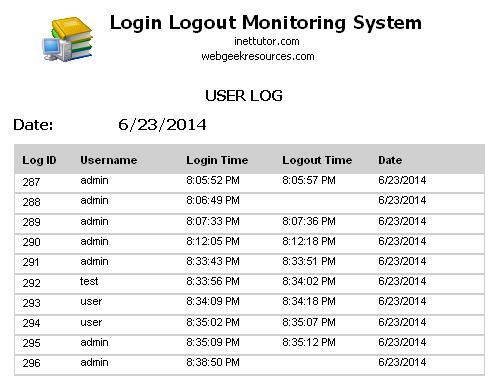 Monitoring the login and logout of the users is only a part of an information system but it plays an important role. Through this system, the administrators of the system may determine who have accessed the system for that certain date and time, thus if an error or trouble occurs in the system, then the administrators can easily trace the user(s) that have accessed during that certain period of time. In the previous lesson we have enumerated the different data types in visual basic, now we’re going to use those data types in a real scenario. In this lesson, we will about to learn declaring variables with its corresponding data type. Let us first define what a variable is. In computer programming, a variable is something that can hold a piece of data or value. Every variable must have a name (variable name) and every variable must have its data type such as integer, Boolean, string, etc. In visual basic you can assign a constant value in your variable and other variable may change its value during the execution of the program. There are 3 groups of operators in Visual Basic: we have the arithmetic operators, relational operators and the logical operators, but this article will only discuss about the arithmetic operators. Addition is used to add two or more numbers (basic math). But in visual basic + sign is also used to add the value of two or more variables (numbers and text). Flash animation can be created in animation software just like Adobe Flash and SwishMax. The output of your animation is in .swf. Now the question is how are we going to embed that flash animation in our visual basic form? Here are the step by step procedures on inserting swf file in your visual basic project. 1. Open your Visual Basic 6 program and select Standard exe. 2. Select Project in the menu bar and select Components. 3. 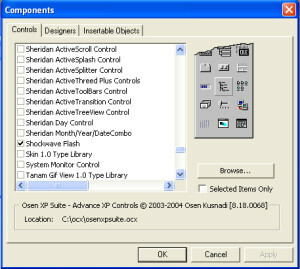 Components Dialog box will appear, just like the image below. Now scroll down and check Shockwave Flash and click OK. The Proposed Point of Sale establishes sufficient, fast and easy manipulations of customer transactions. It designed to provide quality performance and good services to the employees at the same time improve the organization’s better facility. The system used corresponding username and password as well as to activate its features and for the security purpose. A HTML form or a web form is primarily used to collect data from the input of the user or visitor of your website, example of those data are (name, email, contact, address, etc.). The data that are captured will be sent to the server for storing, processing or for validation purposes. In this lesson, we’re going to learn how to create a list in html. There are three different types of lists in HTML, we have unordered list, ordered and description/definition lists. unordered list — a set or a list of related items, in no particular order. ordered list — a set or a list of related items, in a specific order. description/definition list — outline of terms and their definitions, the best example is the dictionary in which every word has its corresponding meaning or definition.